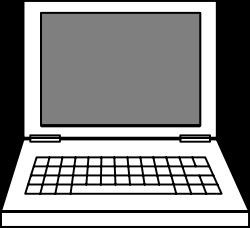 How to buy a laptop? Which one to choose? Choosing a new laptop is a daunting task indeed. Just go to any market and you will be amazed and dazed by the variety available. Of the many Dells, HPs, Sonys, Samsungs and Fujitsus, which one is for you? Leave this, google the words “buy laptop online” and you are sure to get 10 million plus results in under 0.18 seconds which will scare the daylights out of you. Feeling lost? Fret not, this little guide will guide you Read on…. Step 1. Define your need. Yes, very important. This perhaps is the most important step. Are you a road warrior looking for a sleek looking lightweight thingy? Or you don’t mind carrying a few extra pounds. Do you do a lot of image processing or video editing? Or simple tasks like word processing, making presentations, music, movies and Internet is your daily routine. If its simple word processing and stuff why invest loads of money in buying a top of the line Intel Corei7 processor with 6M cache and 8 GB of RAM. After this, the important things are battery life, warranty, deals, free anti-virus, free mouse and storage space. Ports, webcam, Wi-Fi, LAN, card readers etc come with almost any laptop today. Step 2. Depending on your requirement select the appropriate specs, because this will define the price. Step 3. Define your price bracket. Remember expensive doesn’t always mean the best. The best laptop is the one which works best for you. Step 4. Get online. Yes, get online and do the research according to your required specs and price bracket. Look out for deals. Step 5. Shortlist at least three and a maximum of five machines. Step 6. Make a small Excel sheet or table on paper describing the specs, price, accessories, OS, extras, battery life and Warranty (very important) of your shortlisted laptops. Step 7. Select the best out of them and buy it. Hope you find it useful. Happy shopping! Yes it may be useful but in the last Girls always prefer ‘The Pink One’ 😀 So no use going into that many details for girls 😛 Love your blog ! Next“No Music”, says the sign!